The successful story of Deutsche Payment A1M AG based in Berlin began in 2004 with the founding of the company A1M GmbH. Deutsche Payment offers a wide range of experience in payment processing and uses the most modern and secure technology for business payment solutions. The Company is primarily involved with the development of industry and provider solutions, with additional services included in the company’s diverse solution portfolio. Being one of the leading payment service provider in Europe, Deutsche Payment builds on continuous technical improvements and the latest standards in e-commerce. Deutsche Payment is made up of a team of experts from the fields of banking and finance, e-commerce, law, technology, and marketing. Company founder and CEO Alex Herbst was previously successful as the CFO of Wirecard and boasts over 15 years of experience in the e-commerce and payment industry. 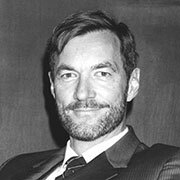 In the beginning of his career, Alexander Herbst worked in the financial field for international architecture offices such as Stirling & Wilford Associates. In 2000, he became the CFO of Wirecard AG. Three years later, he parted ways with Wirecard and founded A1M GmbH, which successfully developed its own payment software and solutions for the market. SanKyu GmbH would comprise the consulting arm of A1M for the next few years. Roland Weigl has been a supervisory board member of Deutsche Payment since 2014. As owner of his own tax and audit consultancy in Munich, he has years of experience in the field of finance. He offers established know-how in tax consulting, auditing and valuation issues for domestic and international companies. Unfortunately, no vacant positions are available at the moment. Unsolicited applications are welcome at anytime.